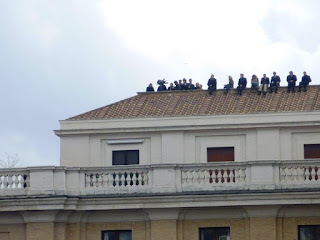 Yesterday the Holy Father gave his last Sunday Angelus Address from his study window. 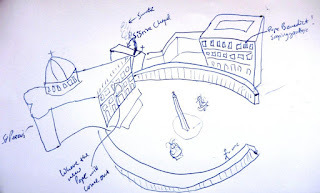 I arrived an hour and a half before, and Saint Peter’s Square was already almost filled with people: priests, nuns, babies, old folks, large families, tourists… you name it. Lots of people asked where the Holy Father would be coming out, so I pointed them to his study window, top floor, second from the right. There were all kinds of groups with banners wishing the Holy Father well, and one banner that said, “Pope Benedict for Pope, Again!” Everybody cheered when they opened the Pope’s window before the talk, and they really thundered when he finally appeared. There were even people on the roof! For me it was another confirmation that the Holy Father humbly knows himself and his own limits, and is not afraid to make even the hardest of decisions. Back in 2005, he was asked by God to give his own plans up, and he accepted. 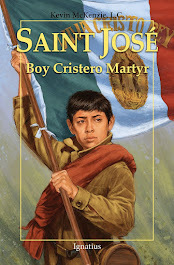 Now in 2013 he’s not giving up on himself or on the Church, he’s just confidently entrusting the future to God. I took some pictures and attached them to this email. It had been raining all morning, but brother sun poked his head out for the occasion. 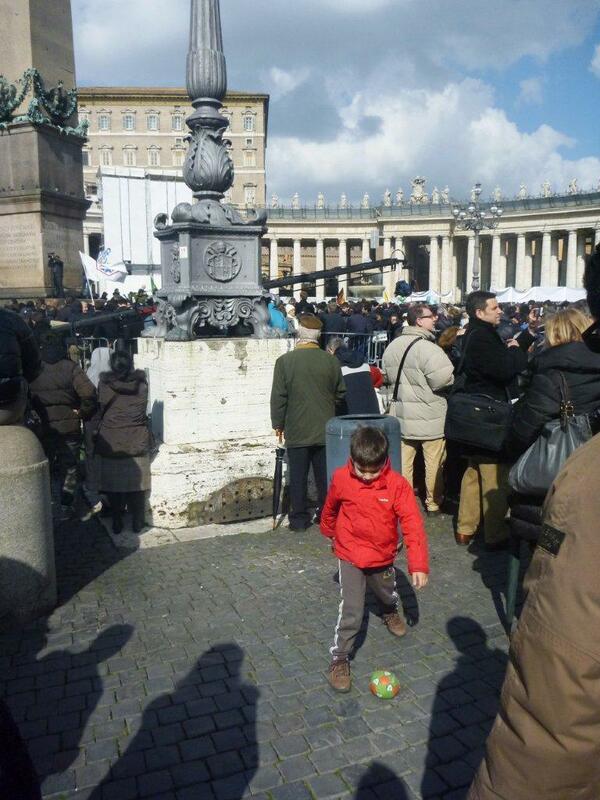 There’s a shot of a little Italian boy playing soccer with his dad while waiting for the Pope. 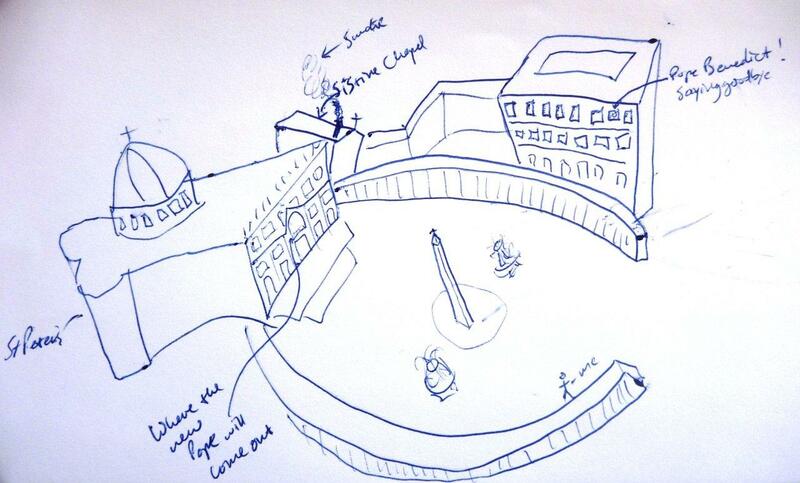 I drew a diagram of the square, with the Sistine chapel chimney marked. There’s also a video, which, though a bit jittery, gives you a good idea of how many people were there. It starts out with Pope Benedict’s blessing (he still sings it in Latin – how’s that for 85!) and I’m sure many graces pass along to all who watch it. Next stop, Benedict’s last public appearance on Wednesday. I’ll keep you posted!